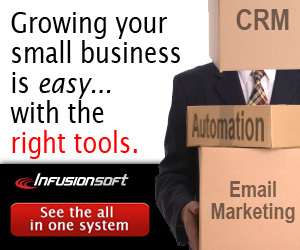 There are many companies in the marketplace that provide email marketing and it’s often hard to choose the right one. Especially given that it’s not always easy to predict your future business needs – so what might be the right solution now, may not suit your needs in a year or two’s time. Getting it wrong though… can be costly! One often neglected factor is the potential cost or loss you can incur if you need to move between Email Marketing providers. Because of Spam laws and the associated opt-in procedures required to import a database it’s often not easy to move your list to a new provider and you can easily lose anywhere between 25%-75% of your subscribers/community if you move your list. So it’s important that you start with a provider that can offer everything you need for the long term. Just going for the cheapest or easiest to use to start with can be a very costly false economy! Think long and hard about your future online marketing strategy. Consider not only your plans for the immediate future, but think 2, 5 or 10 years into the future and how you predict your business will grow and change and what features you might require further down the line. Consider carefully if you need e-commerce/online shopping facilities as well as email marketing and how important it is or isn’t for these to be integrated within the same package. Then research potential email marketing service providers that offer the features you’ve identified you will need. We’ve recommended a few below to help you get started. Lastly make sure you check the list import policy of your favoured provider before signing up. If you already have a list of database of customers and prospects, make sure you fully understand the process and policies for importing that list into their system. Many companies require you to either certify that it’s already an opted in list, or will require those people imported to opt-in after the import – and if they don’t then you won’t be able to email them any more. If you’d like some help or advice with this process, or planning a list move or list important strategy to minimise any loss of subscribers, then please give us a call on 0333 200 2612. The providers listed below are the top ones we’ve come across and are highly rated and widely used. They all offer a slightly different service and most offer a free or very low cost trial period. Only two of them include an e-commerce facility with digital product delivery, and the others vary on their ability to integrate with another e-commerce product. Auto-Responder, Email Marketing & E-Commerce.